Mr. Adi Rakhman was graduated from a master program of Applied Climatology, Graduate School of Bogor Agricultural University. 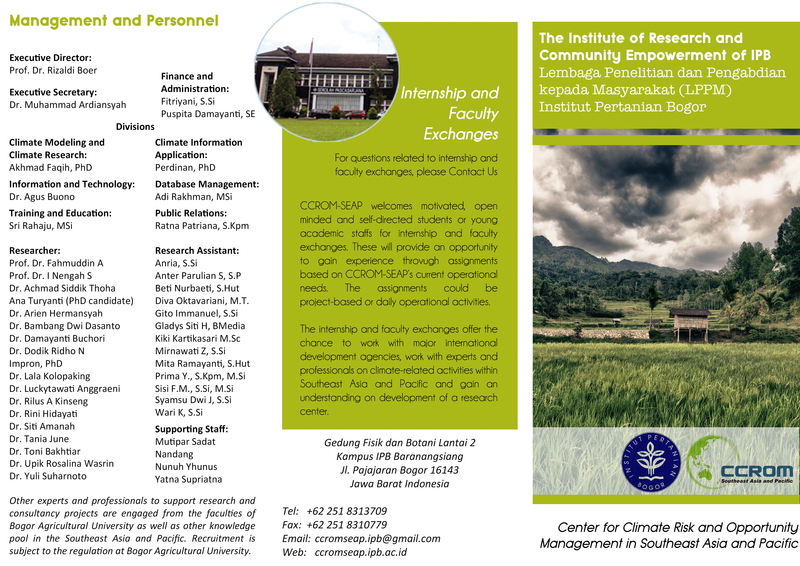 After completing his bachelor degree in Meteorology program, Bogor Agricultural University, he joined the activities carried out in the Laboratory of Climatology in terms of climate data analysis for some projects. Adi started to join CCROM SEAP since 2008 as a research assistant, and firstly involved on basic analysis of the climatic conditions and changes. 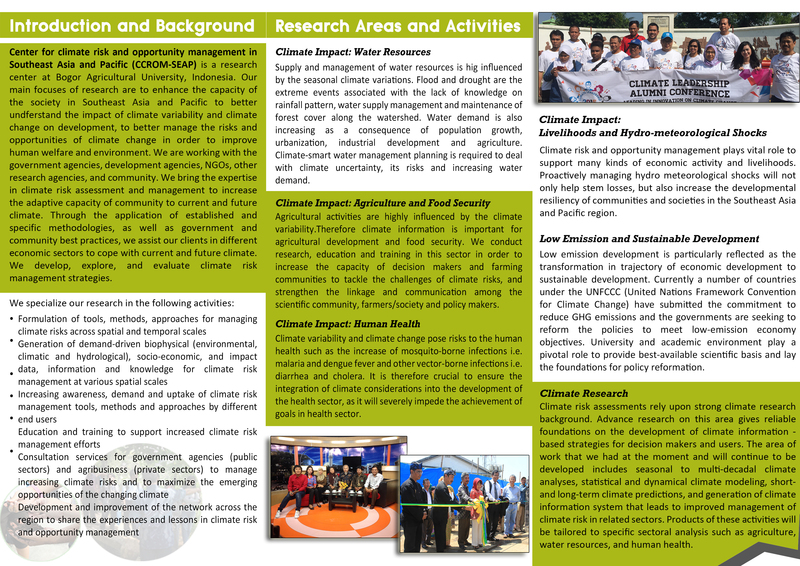 At present, Adi mainly responsible to help analyzes related to the effects of climate change, such as agriculture, health, forestry and water resources sectors. Most of the activity was related to the models that describe the effect of climate change on various sectors, and through GIS mapping.